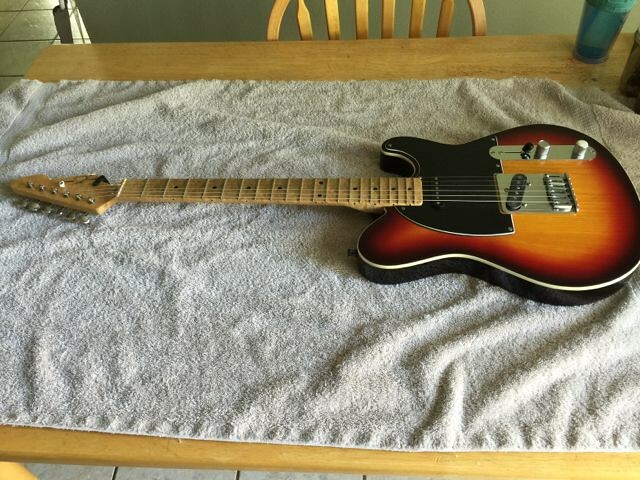 Will a Fender Telecaster Neck Fit on this Body? Discussion in 'Luthier's Guitar & Bass Technical Discussion' started by Secret Ingredient, Apr 12, 2016. I've got a Peavey Jerry Donahue sig that has serious neck issues. I've tried having it fixed but so far it's just money down the drain. My next step would be to replace the neck, as the electronics and other appointments are fine. Peavey, however, uses a proprietary heel design, at least as far the screw layout is concerned. I can plug the existing holes in a Fender spec neck and and re-drill to fit the Peavey body, as long as the neck shape itself will work. So that's my question: Will it fit, or must I, uh, quit? 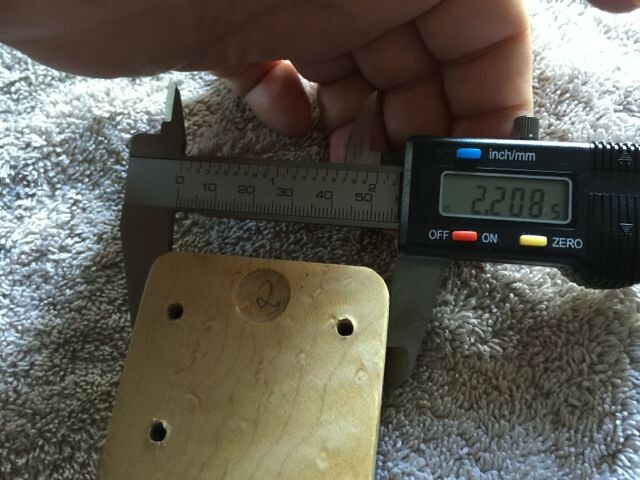 Below are pics showing the various measurements. 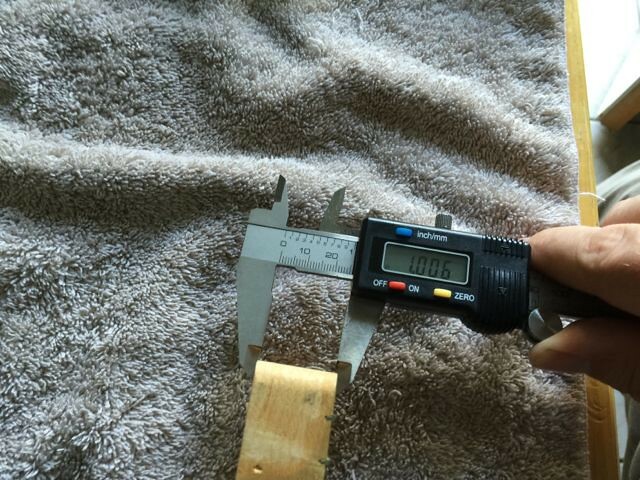 i used a cheap Harbor Freight caliper. My hands are really puffy! They are not happy right now. This last one is the depth of the heel, from the top of the body. Everything looks like it would fit just fine...except the mount holes of course. 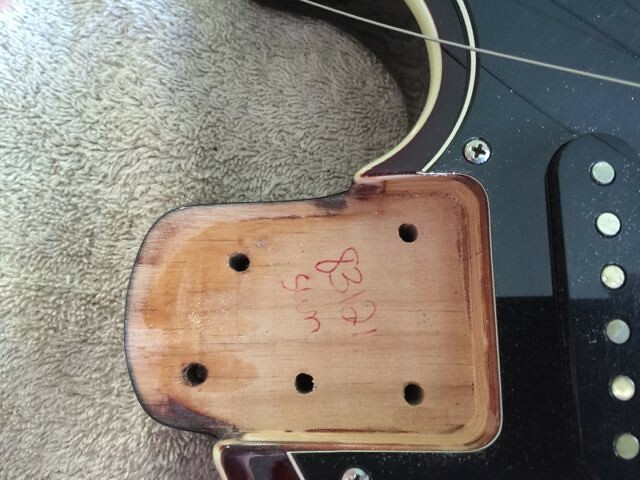 A new neck should have no holes. So I'd use the ones supplied by peavey. Can't see anything that would prohibit a good fit. 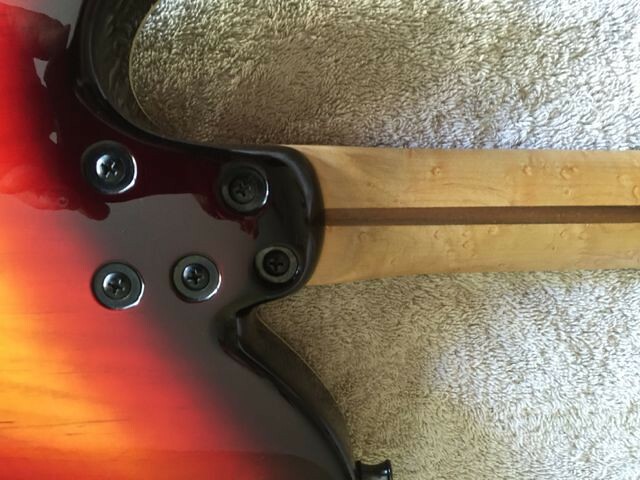 You could plug the holes on a used neck, or get a virgin aftermarket neck. Looks pretty standard for the neck pocket and heel. Terrific. Thanks so much. 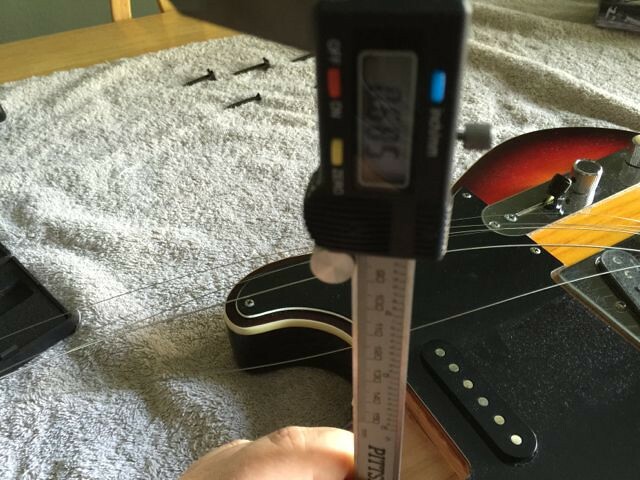 I wish Peavey supplied replacement necks, but they shut down their USA guitar production years ago. As long as the neck pocket is a fender profile for the type of neck you want to use I wouldn't see a problem with it. But a little off here or there and you may need some light modification to get it fit correctly. Consult a tech first before to start sanding or cutting anything and you should be in the good. I've got a Peavey Jerry Donahue sig that has serious neck issues. I've tried having it fixed but so far it's just money down the drain. i'd be more inclined to pursue this angle. what's wrong with the original neck? It's twisted, most prominently in the upper register. I've already had extensive fretwork done. The only other option is to pull the frets and plane the fretboard, then install new frets. 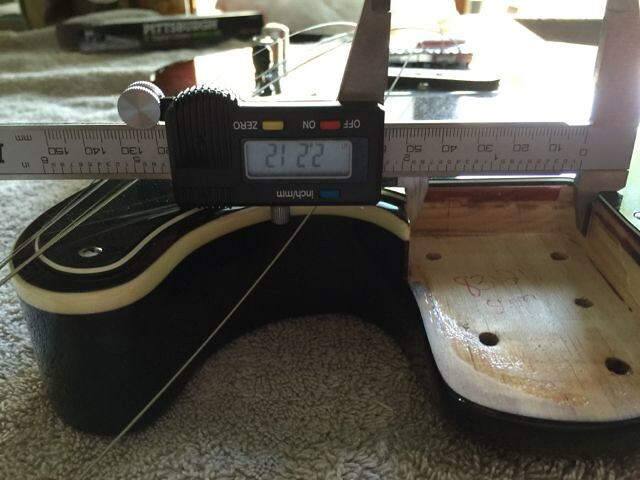 Also, the notes on the unwound strings sound progressively less full and loud as compared to the wound strings. The skinny E string is practically dead. I think the neck is toast. If you want to make it work you might scallop the fretboard and then brutally level the frets. Taking them down low won't matter as the scalloping still allows playing room for the fingers. If it is twisted more than that..whew. A new one is easier. Interesting that Peavey makes/made guitars that take Fender necks. My 1978 T-60, their first guitar, is the same. Is there a reason to match another maker's neck specs? Especially since Peavey's T-60 was their own CNC design. They could have made it any specs they wanted. Not complaining! Just curious. Good question, and I have no idea. Perhaps tooling was more readily available for Fender spec stuff before the CNC stuff came out, so they were already standardized on Fender spec before CNC? I ordered one of the web special necks from USA Custom Guitars. I'll need to apply finish and have a nut installed etc. We'll see how it works. I'm excited to have a functional guitar again soon.